We have Rock Camps in three locations, a Traditional Music Camp and a summer Samba Camp. 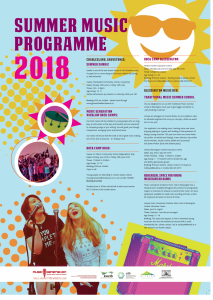 We have Rock Camps in three locations, a Traditional Music Camp and a super opportunity to have a workshop on Saturday 1st July with three members of the Traditional group Goitse. We also have a Samba Drumming Camp in Charlesland Greystones and an iPad Music Camp for teenagers. Guitars, saxophones, accordions, flutes and other instruments will be available for rental for budding young musicians at Wicklow County Library branches under a new scheme just launched. The project is collaboration between Wicklow County Council and Music Generation Wicklow and is intended to encourage young people to start playing an instrument. It was initiated in 2015 when funding for the musical instrument scheme was given by the Cathaoirleach Christopher Fox supported by the Arts Officer Jenny Sherwin and the elected members of Wicklow County Council. The funding was granted to acknowledge the huge achievements of the Council and Kildare and Wicklow Education and Training Board in establishing Music Generation Wicklow at the end of its first phase. This is a vitally important provision for the county to help Music Generation Wicklow move forward and engage more and more of our children and young people. The funding was intended to support children progressing onto instrumental learning from choral singing and to encourage new participants to consider picking up an instrument. 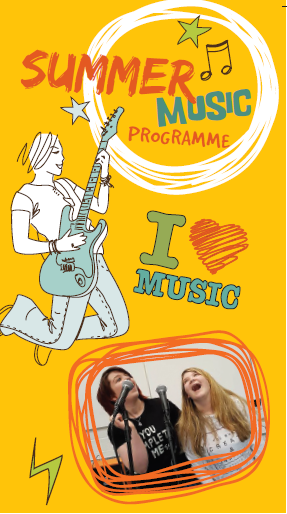 Now almost five years in existence, Music Generation Wicklow delivers diverse and multi-genre music programmes to 4000 young people in the county. 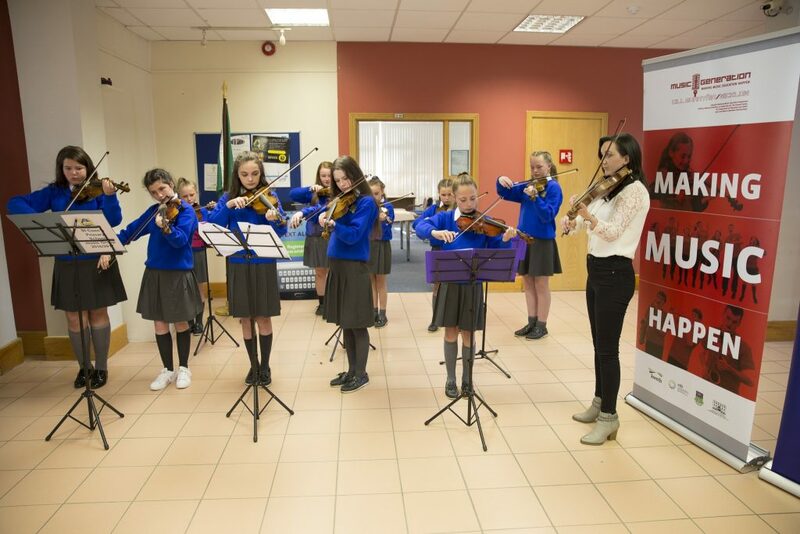 The new music instrument banks will be placed in Arklow and Blessington libraries and will be available to rent by families or community music groups providing an opportunity for young people to try out playing an instrument before making a financial commitment. The collaboration between Wicklow County Council’s Library Service and Music Generation Wicklow will be mutually beneficial to both organisations and they look forward to working together in the provision of instruments and other supports for music development locally. The staff from Wicklow County Council Library Service together with Ann Catherine Nolan from Music Generation Wicklow joined forces to establish the scheme and its roll-out to young people locally. 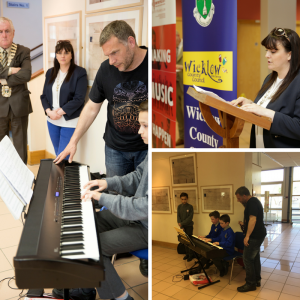 The instrument lending scheme was officially launched on Monday, 8th May, by the Cathaoirleach of Wicklow Council, Cllr Pat Fitzgerald and Cllr Nicola Lawless, Chairperson of Wicklow Music Education Partnership at the Council offices. Young Music Generation Wicklow students from St. Coen’s National School and St. Cronan’s Boy’s National School performed at the launch to demonstrate the importance and joy of music education in the lives of young people. 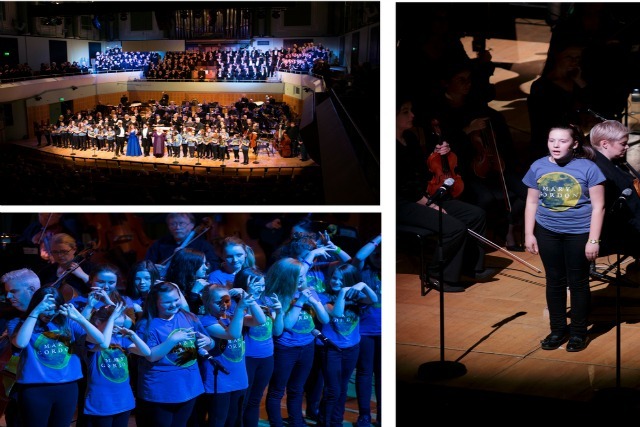 56 young singers from Music Generation Wicklow performed as part of Mary Gordon, a new oratorio written for massed choirs, solo vocalists, narrator and symphony orchestra. This major new choral commission, presented by Wicklow County Arts Office in association with the RTÉ National Symphony Orchestra, made its world premiere at the National Concert Hall on Saturday 5 November 2016 at 8pm. 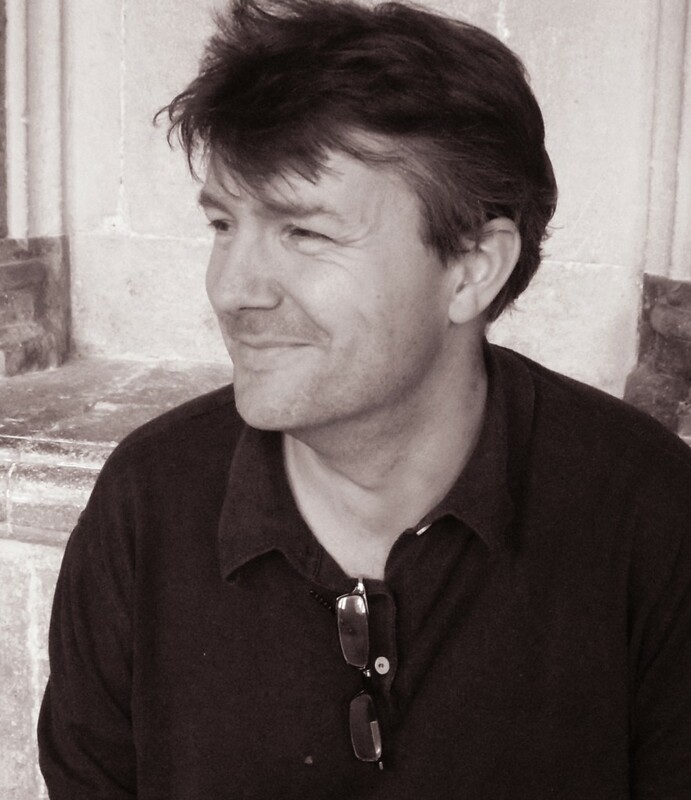 With music by Brian Irvine and Neil Martin, author and playwright Marina Carr has created a gothic folktale about a 1916 love story and the flooding of the Poulaphouca Reservoir as the basis for this oratorio, which will be conducted by Fergus Sheil. The Holy Rosary 6th Class Choir, based in Wicklow Town, represented Music Generation Wicklow at the event. This all-girl choir has enormous experience, having previously participated in the hugely successful Blue Bottle project in 2014 in addition to numerous other public performances. This momentous project formed part of Wicklow County Council’s Ireland 2016 Programme, bringing choirs and solo singers from throughout the county together for the performance. Other choirs taking part in the event included Bray Choral Society, Wicklow Choral Society and Get Vocal Choirs. Together with Choral Leader, Victoria Massey, The Holy Rosary 6th Class Choir rehearsed locally once-a-week this month, meeting the orchestra, adult choirs and featured soloists Sarah Power (soprano) and Gerard Schneider (tenor) for larger rehearsals at the end of October in the lead up to main-stage event. Crossbridge National School Ukulele class this week.Something to cheer us up this afternoon – nothing like letting your hair down at ukulele class! Many thanks to the super Frankie Lane and all his wonderful Music Generation Wicklow students. 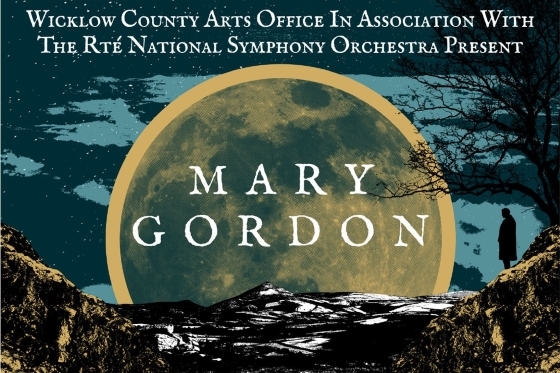 56 young singers from Music Generation Wicklow are to perform as part of Mary Gordon, a new oratorio written for massed choirs, solo vocalists, narrator and symphony orchestra. This major new choral commission, presented by Wicklow County Arts Office in association with the RTÉ National Symphony Orchestra, will make its world premiere at the National Concert Hall on Saturday 5 November 2016 at 8pm. With music by Brian Irvine and Neil Martin, author and playwright Marina Carr has created a gothic folktale about a 1916 love story and the flooding of the Poulaphouca Reservoir as the basis for this oratorio, which will be conducted byFergus Sheil. 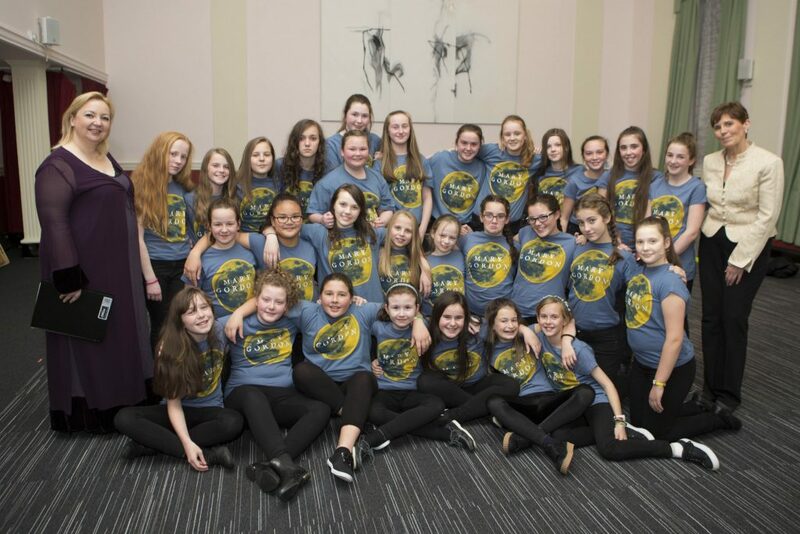 The Holy Rosary 6th Class Choir, based in Wicklow Town, will represent Music Generation Wicklow at the event. This all-girl choir has enormous experience, having previously participated in the hugely successful Blue Bottle project in 2014 in addition to numerous other public performances. This momentous project will form part of Wicklow County Council’s Ireland 2016 Programme, bringing choirs and solo singers from throughout the county together for the performance. Other choirs taking part in the event include Bray Choral Society, Wicklow Choral Society and Get Vocal Choirs. Together with Choral Leader, Victoria Massey, The Holy Rosary 6th Class Choir will rehearse locally once-a-week this month, meeting the orchestra, adult choirs and featured soloists Sarah Power (soprano) and Gerard Schneider (tenor) for larger rehearsals at the end of October in the lead up to main-stage event. We are lucky enough to have the opportunity to avail of a workshop with the April Verch Band on Saturday 16th May (afternoon) in Blessington. April and her band are touring around the country that week so we are really delighted to be fortunate enough to grab this unique chance to play and learn alongside April and Hayes. We have a small number of places left in the Fiddle Styles workshop with April and can now offer places on a workshop with guitarist Hayes Griffin. 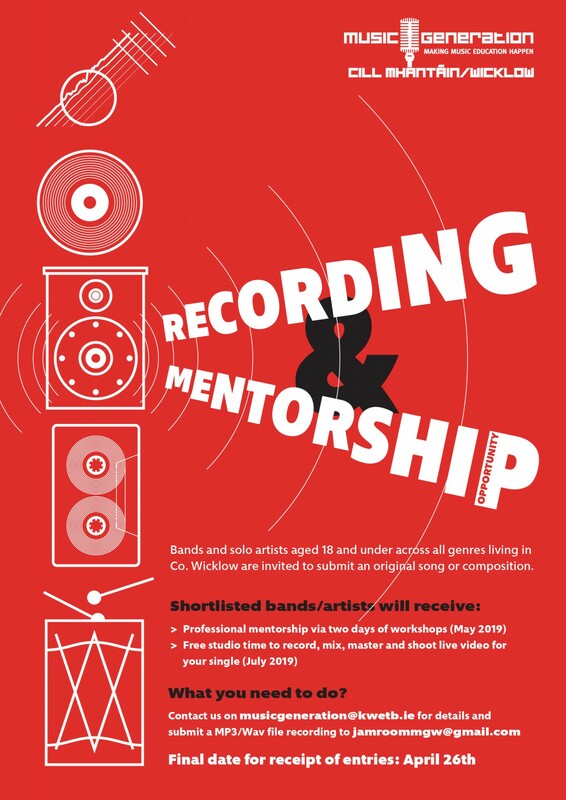 Workshops are for musicians under 18 years of age and are sponsored by both Music Network and Music Generation Wicklow jointly. There is no participation fee and only a €5 registration fee. To book a place please email Evan Kenny West Wicklow Co-ordinator at ei.btewknull@ynneknave or phone 086 0450375 as soon as possible. This class will cover all things guitar, from flatpicking fiddle tunes and improvising solos to accompaniment and chord solo arrangements on bluegrass, old time, jazz and swing music! 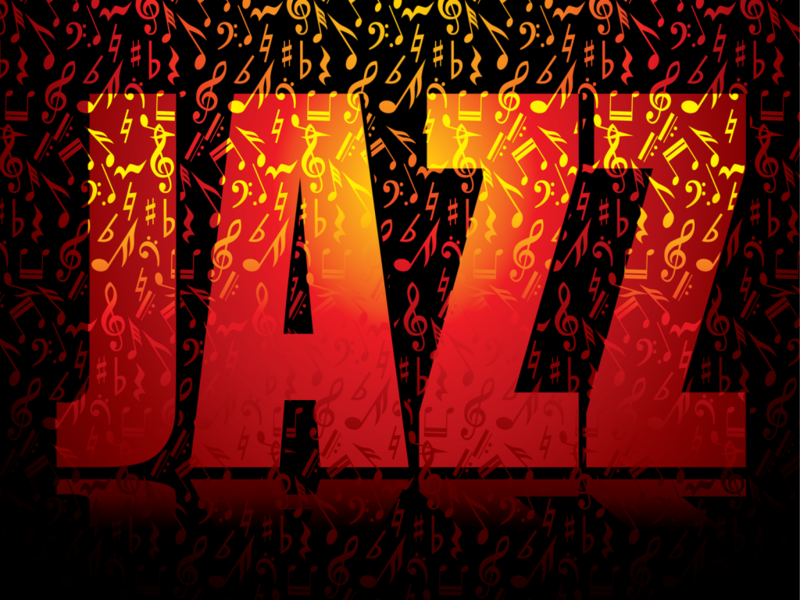 Together, participants will learn to create interesting arrangements that enhance their strengths on the instrument. We’ll get into music theory, guitar mechanic and provide the tools and inspiration to help you overcome any plateau. There are several different regional styles of fiddling in Canada from coast to coast, including Ottawa Valley, Western Canadian, Metis, Maritime, Cape Breton and French Canadian. This class will provide an overview of these different styles and explore what makes each of them unique. Participants will learn to play at least one tune distinctive to each style and apply the bowing patterns and ornamentation techniques that correspond to regional Canadian fiddle styles.Tunes will be taught ‘by ear’ please feel free to bring your recording device and lots of questions, as the class will be tailored to suit your needs and requests. We will be mindful of keeping with the roots of this tradition – getting together to make music and have a great time in a relaxed, social environment. 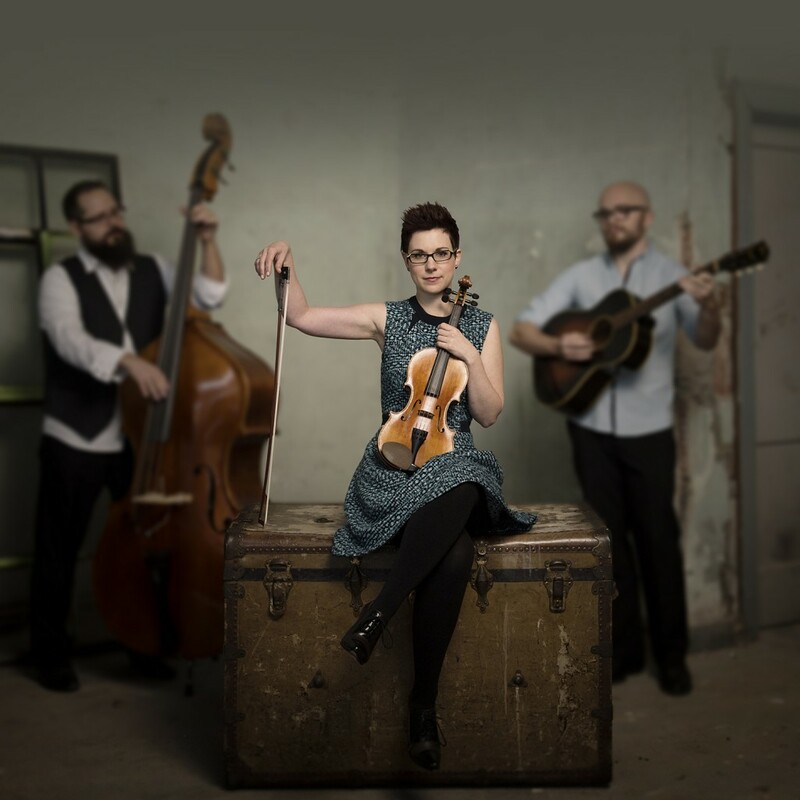 The high-octane April Verch Band provides a foot-stomping concert in May with their infectious brand of North American roots music. The band’s fondness for a killer dance tune leads it on a joyful journey through North American roots music, from bluegrass and old-time to western swing, and honours its myriad of influences including French, Irish and Scottish traditional music. Their legendary performances are a lesson in how to win fans for life: April is a world-class fiddler, a champion Ottawa Valley step dancer, an acclaimed composer, and a singer whose voice has been hailed as “absolutely captivating” by the Toronto Star. The band is rounded out by bassist and clawhammer banjo player Cody Walters and guitarist Hayes Griffin is an energetic, skilful, tradition-celebrating outfit. They have established a reputation as consummate performers, winning over audiences not only with sheer virtuosity on their respective instruments, but also with charm, humour and boundless energy on stage. All are welcome to attend, and admission is free of charge. Because of space constraints pre-event registration is advised by contacting Mermaid Arts Centre box office on (01) 2724030.